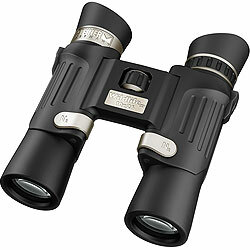 Own several Minox HG binoculars: 8X33, 8X43.5 (2) 8X50, 10X43; also Zeiss 8X56 Victory. without exception Minox HG is superior design and weight most important for steady viewing unaided and free from support as tripods/monopods and convenient carrying. Zeiss Victory uses Schott lenses, too as Carl Zeiss owns Schott lens company and Minox HG uses Schott leses in their bins. Minox uses magnesium chassis and are very light and thus easy to hold against the eye in a steady position providing a stable image for as long as necessary to view the subject. It’s premium priced but the best value compared to Carl Zeiss Victory models of equal strength (Car Zeiss Victory is almost 1.9 X more expensive price; I own both bins. Minox HG stands for their “High Grade” product. Minox produces one model above and designates it as the Minox HG APO. all Minox end their products with BR, too. Their model designations are far too complex, IMHO. but that’s their (Minox amarketing) problem. HG is their best product except their HG APO that is packaged in a satin lined wooden gift box I’m told.